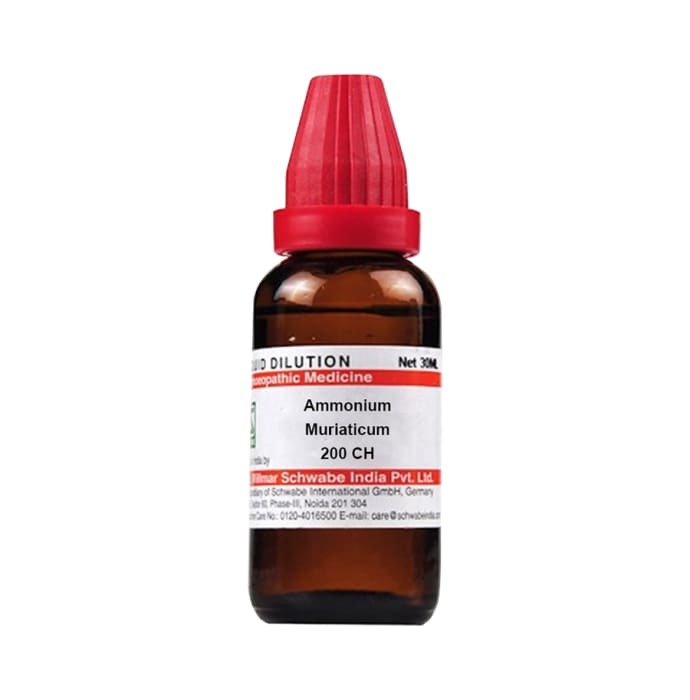 Dr Willmar Schwabe India Ammonium Muriaticum Dilution is a remedy that is prepared from ammonium chloride. This solution is versatile because it is useful in the treatment of many diseases. It is useful in ailments like asthma, fever, voice hoarseness, etc. It helps in reducing respiratory ailments like dry cough, rattling of mucus and burning sensation in throat. 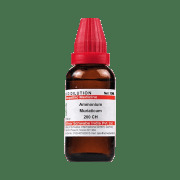 A licensed pharmacy from your nearest location will deliver Dr Willmar Schwabe India Ammonium Muriaticum Dilution 200 CH. Once the pharmacy accepts your order, the details of the pharmacy will be shared with you. Acceptance of your order is based on the validity of your prescription and the availability of this medicine.